It's not easy to find Philip Rutter and his American Chestnuts. As you drive the paved roads near Canton, Minn., in southeastern Minnesota, you encounter many Amish families traveling in traditional horse and buggies. The paved roads end, and you drive on gravel. Next you drive across fields of grass. Finally you're faced with driving through the woods on a muddy trail. Eventually you make it to the A-frame cabin Philip Rutter built by hand in the 1970's. Rutter is a bearded man with a big straw hat. He's also the Founding President of the American Chestnut Foundation, a group of researchers and farmers who are trying to revive the chestnut tree in America. 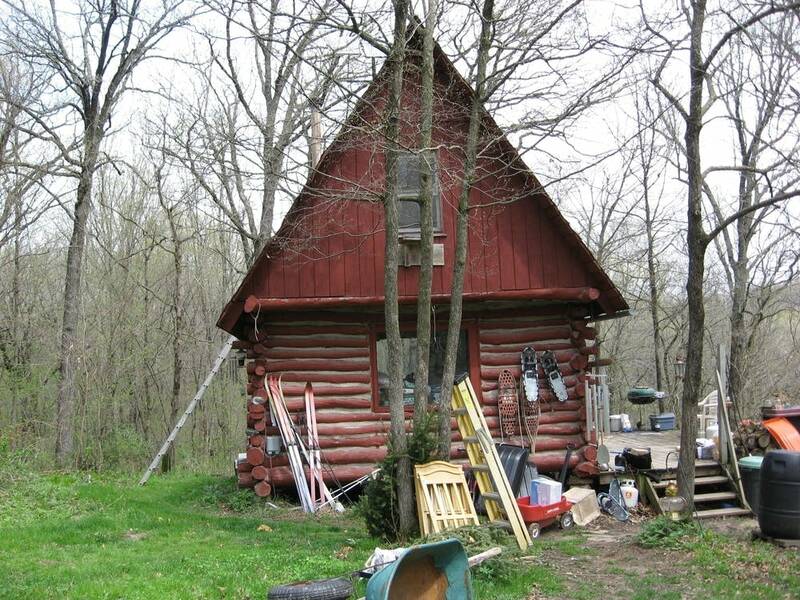 His rustic cabin is off the grid. 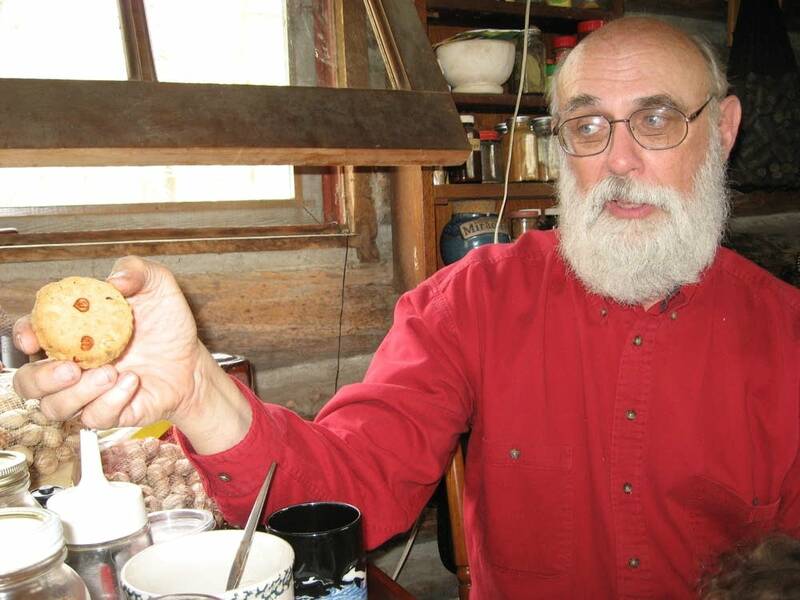 Rutter makes his own electricity by utilizing solar panels to power batteries. 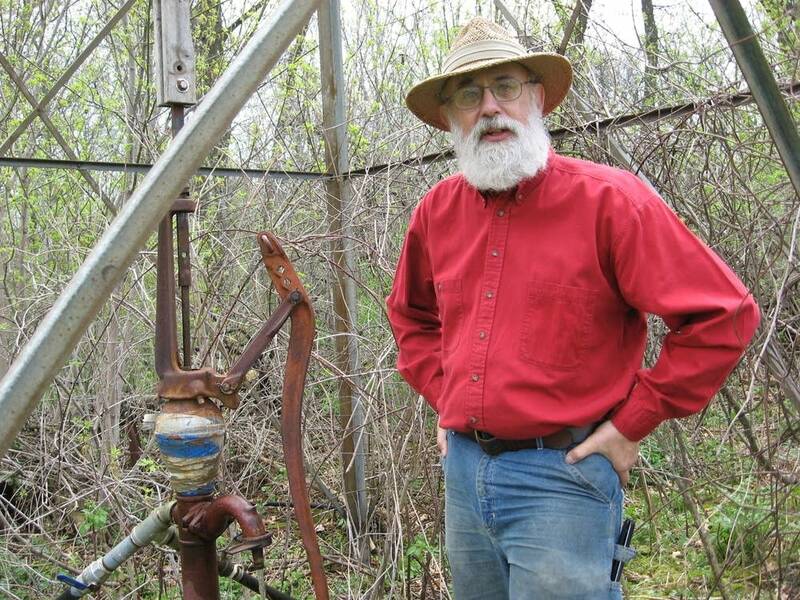 An old windmill brings well water up 340 feet to the surface. That is how he and his wife and small child get water. A century ago the American Chestnut made up about a quarter of the forests in a range from southern Canada to Georgia. In 1904 a fungus, imported on Asian Chestnut trees, began destroying the majestic American Chestnut, which can grow up to 150 feet tall. Within 30 years about four billion American Chestnut trees died from the fungus. This tale of destruction fascinated Philip Rutter. He studied it during his time as a PhD candidate in ecology at the University of Minnesota. "And in studying, it struck me at the time this is not right. There's something wrong with the story," Rutter said. "We got two plus two here, and they're telling me it equals three. There's something wrong with the comprehension of that story. So that stuck in the back of my head." What Rutter discovered was that research into the demise of the trees was faulty. The tree researchers in the 1950s who said the tree would never come back were wrong. 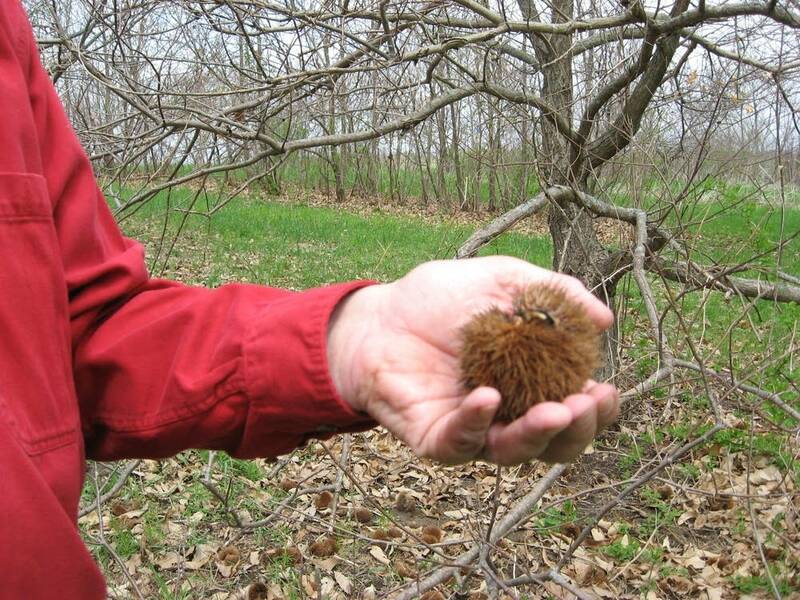 Rutter has developed a hybrid chestnut that is resistant to the disease and will even grow in places like Minnesota, which is not part of the chestnut trees native habitat. "In fact this is the coldest, driest place anywhere in the world that anyone works seriously with chestnuts," Rutter said. 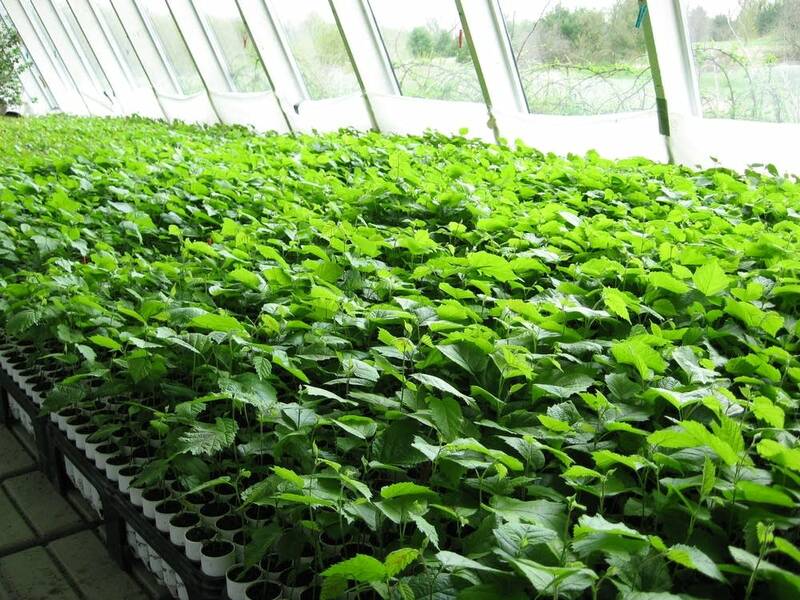 Rutter is growing thousands of hybrid chestnut trees on his property. But it's not just the challenge of bringing back a threatened tree species that motivates him. He is convinced the American Chestnut can feed and fuel the world. Flour made from the chestnut predates wheat flour by about one thousand years and can be a major source of calories. The flour can be made into bread or pasta, and the nuts can be fed to farm animals. In fact, Food Network star Chef Mario Batali works with a supplier to get chestnut-fed pigs for his New York restaurants. Batali said the chestnut diet gives the pork an intense, woodsy flavor. Rutter sells some of his chestnut crop to high end restaurants in the Twin Cities, such as Heartland and Turtle Bread. Harvesting the crop is difficult, because the chestnut is found at the center of the chestnut burr. When you see them in the grocery store, they are not in the burr. "A true chestnut burr is like a handful of needles," Rutter explained. "People used to kid each other that these are porcupine eggs, which is kind of what it looks like." Although difficult to handle, harvesting and planting the crop conserves fuel, because it does not require the use of a tractor. "We keep expecting John Deere to send a hit man out for me here, because you're not going to need a tractor," said Rutter. The nuts themselves can be used as a fuel source. Rutter said it's similar to the way corn is processed for ethanol. The fast-growing trees can be trimmed and the wood can be burned for heat. The rot-resistant lumber can be used for building material. Rutter wants to get the United Nations interested in planting Chestnut trees in Africa. He said the crop could help fight starvation in some regions. Rutter wants to change the world one nut at a time. "One of my favorite quotes is from Aldous Huxley who said, 'The only thing that history teaches us is that we don't learn anything from history.' I would love to prove him wrong just once," Rutter said. Philip Rutter sells his chestnut hybrid seedlings for about $5 a piece. He can ship the seedlings by tube. The planting season runs from late May to early August. Most of the seedlings have been sold for this season.